00988NR - Sparco Gaming Chair - Stint - Pann Auto Performance - San Diego largest aftermarket automotive performance parts - What do you drive? 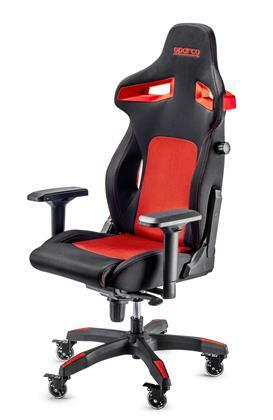 The Sparco STINT gaming chair sets new benchmarks in the crowded panorama of gaming chairs. The new base also features integrated kickplates matching the seat color. As in the entire range of Sparco Gaming seats, the above characteristics are supplemented by an anti-roll-mechanism, 4D armrests, 150° recline and micro lumbar adjustment, which provides comfort for long gaming sessions and increases gamer performance.